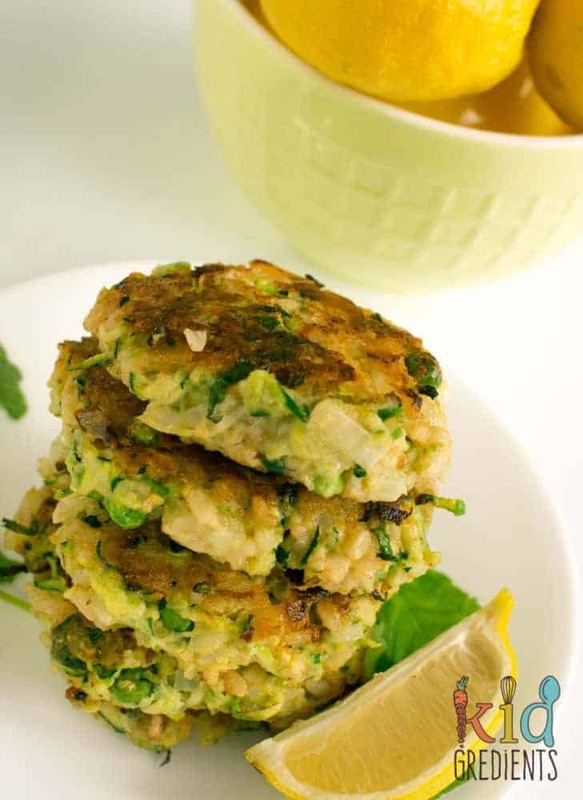 On Saturday night, I had a fair bit of time up my sleeve…so I decided to make these yummy zucchini and pea brown rice fritters to compliment the dinner we were having- bbq’d lamb chops. I love making things I can cook on the weekend and freeze for other times, like midweek when life gets busy. So in the interests of sneaking in a lot of veg (not really sneaking as it’s all visible) I made these fritters. I decided to try and make these fritters basically a one stop shot, like you don’t need anything else to go with them. In fact, as a lunch these could be quite yummy with a light salad, because they have your grains, dairy and veggies already in them! 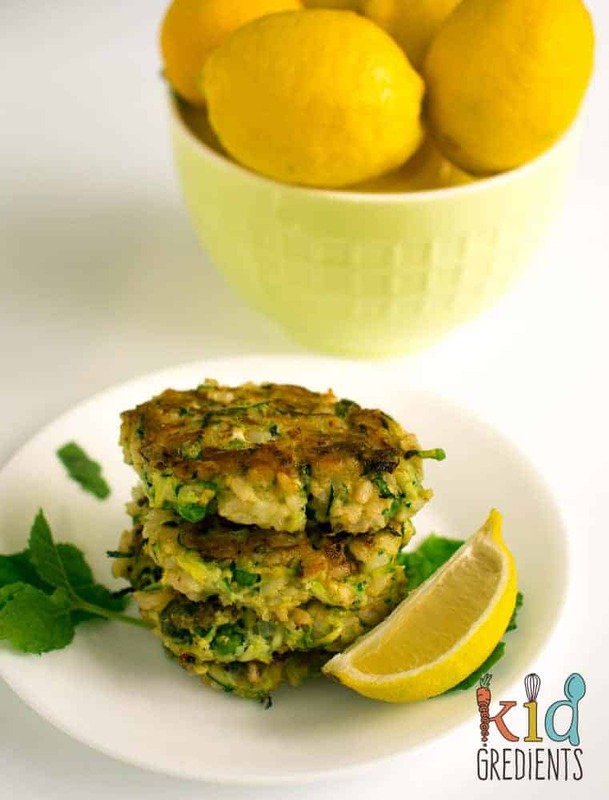 As a side for dinner they are perfect too, as they are quick to make and easy to reheat. 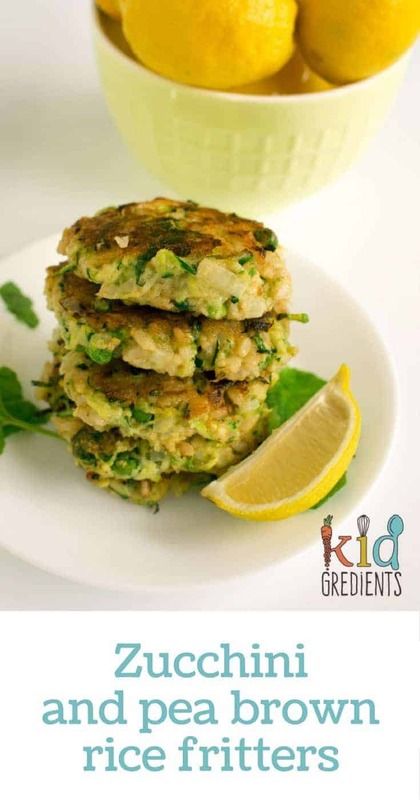 Zucchini and pea brown rice fritters work well cold in the lunchbox too, so don’t limit them to dinner. A while ago, my son wouldn’t have touched these with a barge pole, because…green stuff, but he’s a lot better with that now and tried one. He wasn’t entirely convinced, but they were gobbled by my daughter. Why bother with fritters? 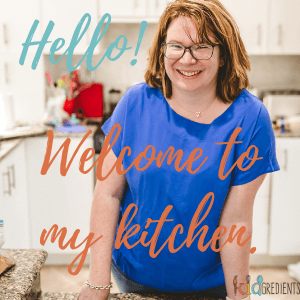 Well, I find their compactness and the fact that everything is on one little package, means the kids find it quicker to eat than eating each of the individual veggies and the rice and the cheese, meaning they spend less time, but eat more! 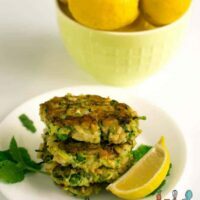 We love fritters and a quick search on the blog will turn up heaps for you, so if you think fritters are something that could work for your crew, have a look! Cook the brown rice. Allow to cool a couple of minutes before combining with all the other ingredients except the olive oil. Mix everything together in a bowl until well combined. preheat a frypan over medium heat with a covering of olive oil. Drain on paper towel before serving with a lemon wedge. Freezer friendly. Defrost overnight for lunchboxes or put into the oven frozen to have as a dinner side. Previous Post: « Why we wear Bobux shoes…and score some! My idea of awesome because they look so easy but delicious! My kids are now finally getting into mixed foods, like they ate tacos tonight as a whole taco and not all individual so these would be great! Will have to try them. Mixed foods make all the difference, it means variety is so much easier. I love how simple and easy these are to make. Adding this to my list of recipes to try soon (after a grocery shop…) including the Lemon and Coconut loaf I’ve been meaning to try. Yum!! These look great, Kylie. I’ve never tried rice in fritters, this I have to do! Thanks Amy, it’s awesome for adding a bit more substance to a fritter.